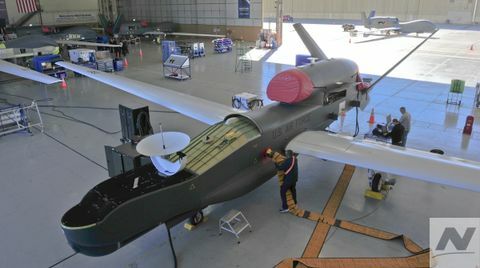 Northrop Grumman works on and creates some of the most advanced, sophisticated technology on earth. We are constantly pushing the boundaries of what’s possible in everything from airplanes that take off, fly and land by themselves to developing the world’s fastest microchip that operates at one-trillion cycles per second. This is some of the most exciting technology in existence. However, as the technology grows in complexity and sophistication, the technological challenges become increasingly more difficult, which makes finding solutions much more demanding. Simply put, in order to create technology that leads its field, you need a lot of engineers that are at the top of their field. Highly skilled engineers are vital to Northrop Grumman’s ongoing mission to provide the best global security to its customers around the world. Engineers are used to working in a team environment on technology that most people can’t even pronounce, let alone understand, so receiving recognition from outside of your team or company is usually rare. Luckily, the 61st annual Engineers’ Council honors and awards banquet held during National Engineers Week in Universal City, California and Palm Beach, Florida, celebrates the challenging, complex, and at times frustrating, hard work that engineers face every day. This year, several Northrop Grumman engineers were recognized for their abilities to deliver superior results for key products. “These dedicated engineers and scientists accomplish amazing feats every day and enable products that we could only dream about before,” said Sarah Willoughby, vice president, western region engineering for Northrop Grumman Mission Systems. 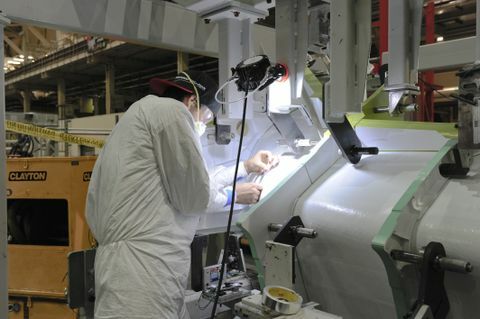 "Northrop Grumman is a company driven by innovation," said Stuart Linsky, vice president, engineering and global product development, Northrop Grumman Aerospace Systems. "We are proud of our innovative accomplishments that our engineering teams have delivered on some of the world's hardest problems; advancing human discovery and preserving freedom and national security. 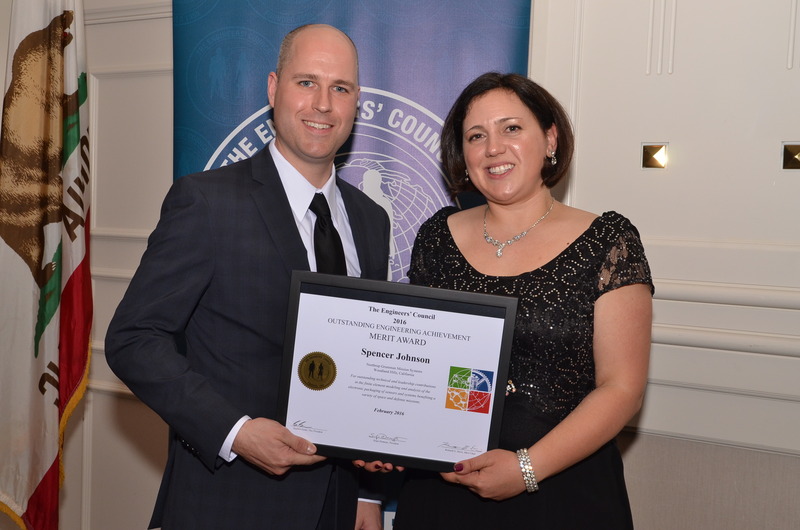 We appreciate the esteemed Engineers' Council for its recognition of the important roles of our Northrop Grumman engineers in pushing past limits to protect and advance our nation." Margy Villa received the Engineers’ Council Future Technology Leader Award for innovation in inertial sensing engineering while Spencer Johnson, Steven Kim and Andrew Spencer received the Outstanding Engineering Achievement Merit Award. Johnson was recognized for modeling and analysis of the electronic packaging of sensors and systems. Kim was awarded for contributions in the field of fiber optics and Spencer for the development, implementation and evaluation of model-based embedded software for safety-critical inertial navigation and pointing systems. 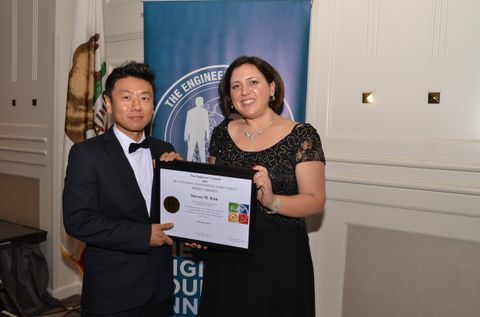 Steven Kim received the Outstanding Engineering Achievement Merit Award for his contributions in the field of fiber optics. Pablo Borruel and Tom Varty both received Distinguished Engineering Achievements Awards. Borruel was honored for revolutionary low-cost software architecture development for integrated open system avionics, and Varty for inertial system and software design, real-time, model-based software architecture, and development of high-performance inertial sensor mechanization. Pablo Borruel received the Distinguished Engineering Achievement Award for revolutionary low-cost software architecture development for integrated open system avionics. “Within my job as an engineer at Northrop Grumman, I do a lot. It feels great to be recognized by a group like this and I consider myself lucky to work at a company like Northrop Grumman. I’ve had so many different opportunities to develop my expertise as an engineer within the company,” said Borruel. “Within my job as an engineer at Northrop Grumman, I do a lot. It feels great to be recognized by a group like this and I consider myself lucky to work at a company like Northrop Grumman. I’ve had so many different opportunities to develop my expertise as an engineer within the company,” said Borruel. Also this year, Chris Hernandez, vice president, research, technology and advanced design, Northrop Grumman, Aerospace Systems, received the Jack Northrop Spirit of Innovation Award for technical contributions that inspire innovation and advance the progress of the aerospace industry. 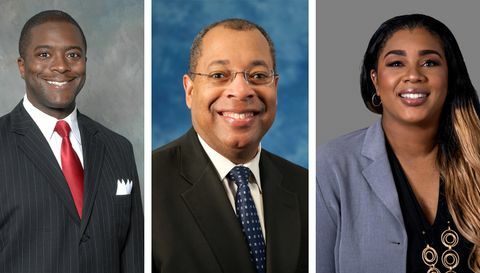 Northrop Grumman’s engineers take the value of performance a step further as the company’s employees are frequently recognized at other events such as the annual Hispanic Engineer National Awards Conference and the Black Engineer of the Year Conference.